Some people call Cincinnati the "Northernmost Southern City" as a nod to its geography and its importance in culture and transportation between the northern and southern areas of the East Coast. Known for its chili and its Oktoberfest Zinzinnati, this thriving Midwestern city has a lot to offer its residents including a vibrant cultural scene and the picturesque scenery of the Ohio River Valley. When it comes to choosing a flooring and carpet company, Cincinnati homeowners can choose from a variety of options. For optimal results and secure business transactions, find a licensed and insured company that provides a detailed estimate and contract. Downtown — Residents who choose to live downtown typically live in apartments, condominiums, lofts, and townhomes. This fast-paced, 24-hour city offers plenty of amenities, from restaurants and shops to entertainment venues and green spaces. Hyde Park — Home to many young professionals and families, Hyde Park offers Cincinnati residents an alternative to living downtown while still providing the feeling of living in the city. Centered around hip Hyde Park Square, this area has an abundant selection of shops and restaurants. Mount Adams — Everyone from starving artists to affluent professionals flocks to the Mount Adams neighborhood, which has stunning views of the city skyline. The narrow, winding streets and diverse selection of bars, restaurants, and shops gives this Cincinnati neighborhood a bit of European flair. Knowing how to budget for the work involved in a flooring project helps make the decision making process a little easier. Although the type of flooring and size of the job can influence the overall price tag, the following table offers a reasonable idea of what to expect. As this table demonstrates, people living in Cincinnati typically pay less than the national average for most flooring tasks. These figures represent the average costs; actual costs may vary depending on the materials and the flooring company used. Ohio state law requires flooring companies to register with the Federal Internal Revenue Service and the Ohio Department of Taxation. The city doesn't require most businesses, including flooring companies, to have a business license. Flooring companies that sell carpeting or floor coverings must have a vendor's license, which can be obtained from the County Auditor. Becoming certified may give flooring companies a competitive edge. For example, flooring installers may pursue certification with the International Certified Flooring Installers Association. To gain the credentials, candidates receive extensive training in everything from approaching a customer's door to installing various materials. Floors are an integral part of any home, whether it's in Cincinnati or anywhere else in the country. From hardwoods to cork, and from laminate to carpet, floors provide a stable surface to walk, lounge, play, or slide. Although Cincinnati isn’t notorious for being a particularly wet city weather-wise, it does receive an average of 12 inches of snow each year and enjoy a rainy season in late spring, which can take a toll on flooring when grit and water are tracked in. 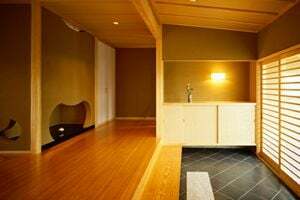 Cincinnati homes with hardwood flooring and new carpeting typically sell in the higher ends of their respective market ranges due to their floors’ easier maintenance demands. Having the right floor completes the aesthetic of a home, adds warmth and dimension, and can be very attractive upgrades to potential buyers. Cincinnati homeowners can choose from a variety of flooring companies to help them select their materials and install them to perfection. Comment: I have carpet in a bedroom currently with hardwoods beneath and would like to expose and clean up/refinish the hardwoods. Thank you! Comment: Need an estimate for laying vinyl plank flooring, about 700 sq. Feet, need to be able to move some furniture around in the room while working. This might be a two-man job. They will need a truck to pick up the vinyl from Home Depot, just a couple of miles from my home. Comment: 2 rooms. Moderate sized. Servpro of Northwest Cincinnati, Inc.
Cincinnati Flooring & Carpet Contractors are rated 4.77 out of 5 based on 1,367 reviews of 45 pros. Not Looking for Flooring & Carpet Contractors in Cincinnati, OH?